1 Bedroom Flat For Sale in Eastcote, Middlesex for Asking Price £330,000. Now Launched With Help To Buy Available Over 50% Sold. 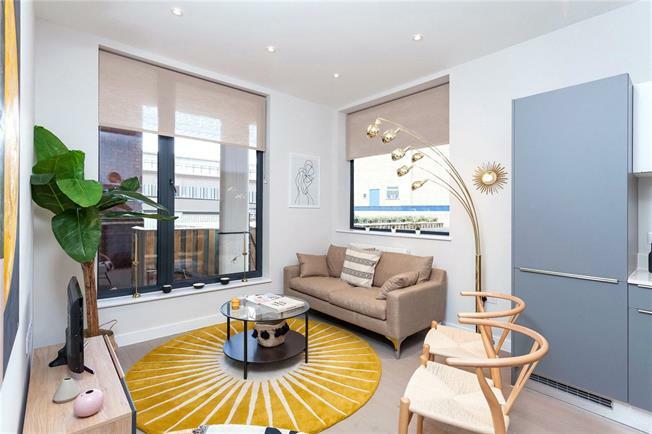 Situated on the Second Floor is this 1-Bedroom forming part of a stunning collection of contemporary homes in Eastcote. The apartment benefits from a bespoke fitted Kitchen with integrated appliances, Porcelain tiled Bathroom and flooring throughout. Solis is a new landmark development by Developer, Life Less Ordinary, offering a selection of 1, 2 & 3 Bedroom apartments. The area has a village type feel with many open green areas and a range of independent shops lining the high street.